Better with VIAVI | VIAVI Solutions Inc.
Technology Leadership. Faster Technician Workflows. Best Value. In today’s ultra-competitive landscape, there is no margin for error in Enterprise networks. With zero tolerance for faulty networks, even a negligible amount of network downtime can have a significant impact on the bottom line. Enterprise technicians are challenged to keep up with the demands of these evolving infrastructures by learning the newest test methods, supporting industry standards, and operating next-generation tools and instruments. VIAVI test and certification tools have been designed, developed, and tuned to deliver the performance your network demands. 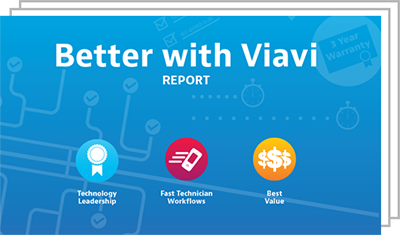 With technology leadership, faster technician workflows and the best overall value – it’s easy to be Better with VIAVI. 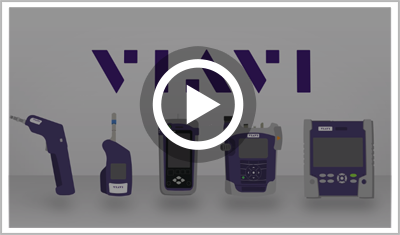 Watch now and learn why the VIAVI test and certification tools have been designed, developed, and tuned to deliver the performance your network demands. It’s easy to be Better with VIAVI. Learn why enterprises today are demanding better visibility into their fiber infrastructure and how Tier 2 testing provides the level of visibility required to fully assess the condition of the link. Get the 4 steps to rock solid certification. The right fiber testing strategies ensure that the system you install will support key applications down the road. View the VIAVI enterprise test and certification solutions for Tier 1 & Tier 2 fiber certification, copper certification, and essential fiber tools. Learn why the VIAVI comprehensive portfolio of test solutions addresses the needs of today’s enterprise technician for both copper and fiber test and certification.